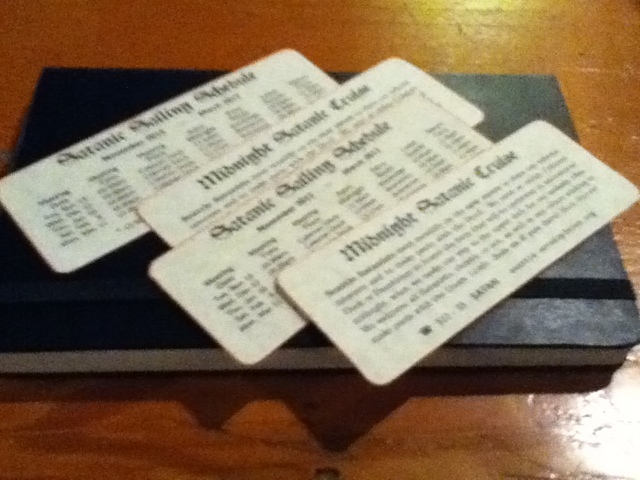 Seattle Satanists meet monthly on the new moon to share our infernal interests and to make pacts with the Devil. We meet at either Coleman Dock or Fauntleroy to board the ferry that will be underway at astronomial midnight, when we make our way to the upper deck for our unholy rite. We welcome all Satanists, theistic or not, as well as any others wishing to make pacts with the Dark Lord. Join us if you dare! Hail Satan! Make your pact with the devil, meet other satanists. 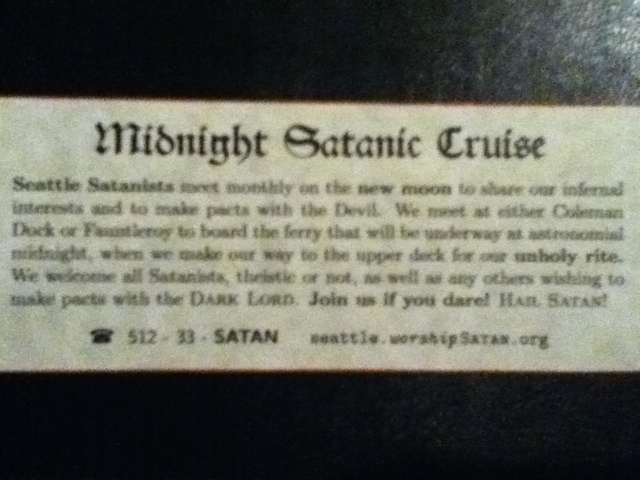 No, we don't actually have our own Satanic cruise ship, but that doesn't have to stop us. 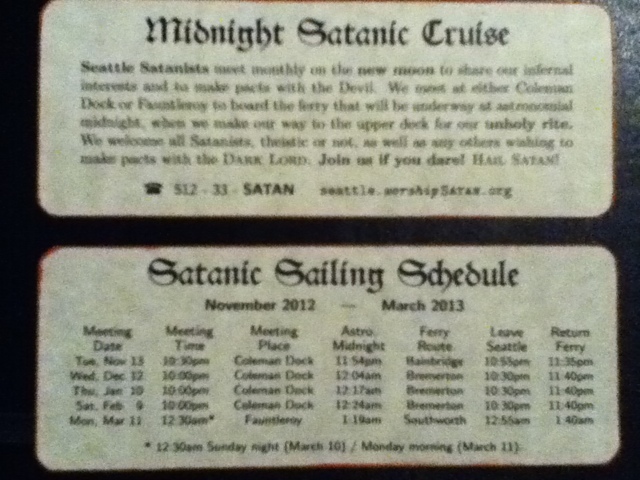 Beginning November 13, the Seattle Satanists will set sail every astronomical midnight nearest the new moon to make our pact with the Devil. 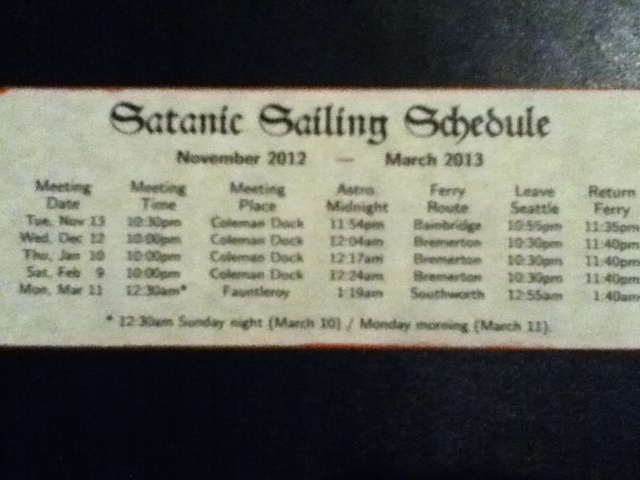 We'll meet at Coleman Dock (foot of Marion) at 10:30 pm and walk onto the 10:55 bainbridge ferry for our Satanic Social Hour, then board the return ferry at 11:35pm for our date with the Dark Lord at astronomical midnight on the upper outside deck.